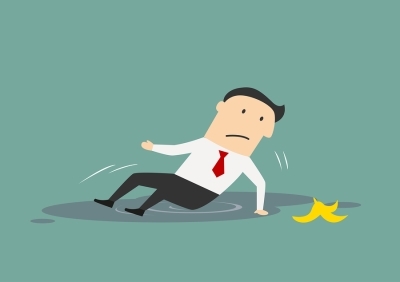 WHO IS RESPONSIBLE IN A SLIP AND FALL CASE? Countless people slip and fall every day, but in some cases the accident could be the fault of another person. This is known as premise liability. If you slip and fall outside of your own home and you feel someone else could be responsible, you have the right to consult a personal injury attorney. A lawyer in Riverside, CA, who handles slip and fall cases can review the issues at hand to determine if someone else might be held liable for your losses. To determine who might be held responsible for your accident, your slip and fall lawyer will assess which party might have held a duty to you to exercise reasonable care. For example, if you are inside a restaurant or retail store, then the store manager or owner may hold a duty of care to you. If you are in the common areas of your apartment building, then the building manager may owe the duty of care. It is not sufficient to identify the party who owed a duty of care to you. Your slip and fall attorney must also prove that this person breached the duty of care. For example, if you’re shopping in a retail store, place your handbag on the floor, and then trip over your handbag, then the store manager has not breached a duty of care. Rather, you created the tripping hazard. However, if the store manager spilled cleaning fluid on the floor and failed to clean it up within a timely manner, then he or she might be held liable for breaching a duty of care owed to you. Many falls occur without inflicting harm. After identifying the party who had a duty of care and breached this duty, your attorney must then demonstrate that the breach of duty directly led to your damages or losses. Medical records that demonstrate your diagnosis and treatment shortly after the accident are very helpful in proving your damages. California is a comparative negligence state. This means that even if you could be considered to be partially at fault for the accident, the person who breached a duty of care toward you might be held liable for a percentage of the accident. In this case, your compensation could be adjusted accordingly.